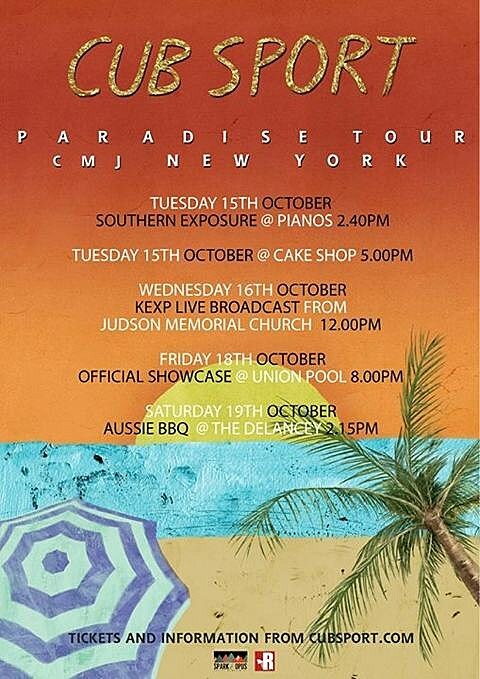 Holy crap there are a lot of Australian bands playing CMJ 2013. And almost all of them will be at the annual Aussie BBQ, which happens at The Delancey all day and night Saturday (10/19). It’s free and open to the public with over 30 acts playing. The show features some bands we’ve already told you about: Courtney Barnett, Crayon Fields singer Geoffrey O’Connor, sludgy garage rockers Reptiles, and WIM who are based in NYC at the moment. That still leaves most of the line-up which is all over the map, sound-wise. You can check out nearly all of them via a Spotify playlist for easy perusal. The whole schedule is listed below, but here’s a few highlights. 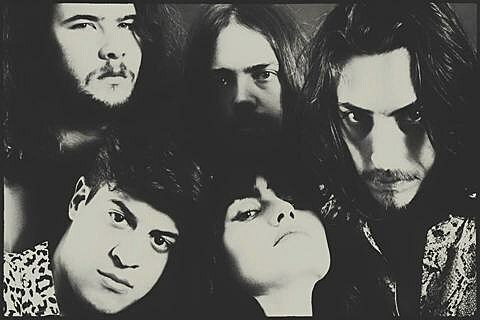 The Preatures make slightly countryish pop-rock and comparisons to Haim have been flying around. They’re a little more rock (in a Strokes kinda way) than Haim, but their songs are pretty hooky. They’re playing four shows total while here, starting Wednesday (10/16) at Bowery Hotel as part of the School Night party (free with RSVP). They’ll also play Santos on Thursday (10/17) and the Planetary day party at Pianos on Friday (10/19). 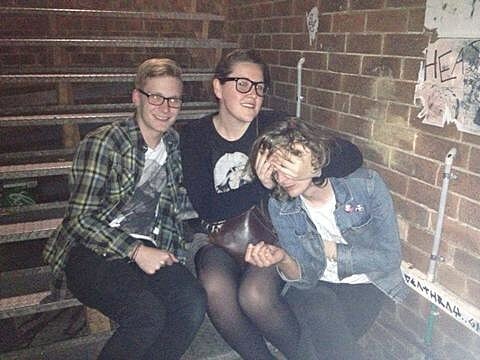 Bored Nothing are from Melbourne and work in hazy, swirling guitars and somewhat mopey/angsty vocals. Their self-titled album from this year is pretty good. You can also catch them tonight (10/15) at Pianos with Courtney Barnett, Total Slacker, High Highs, Saint Rich, Spires, Palehound and more. 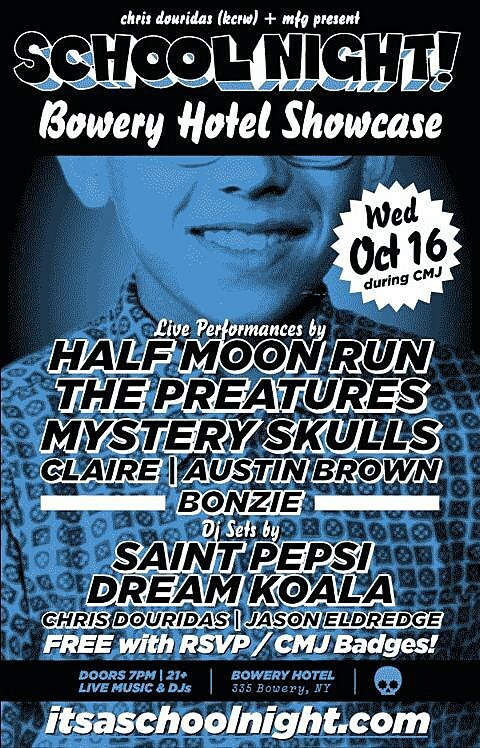 It’s only $5 at the door and free with RSVP (or your CMJ badge). Flyer with all the bands is below. 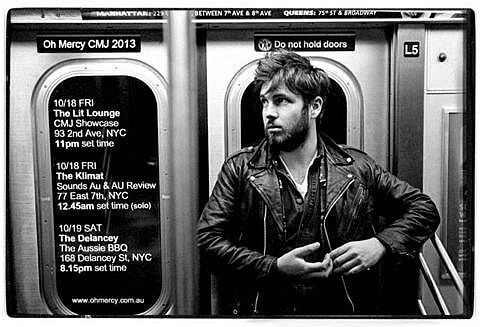 Oh Mercy, also from Melbourne, make understated dusty boots rock. 2011’s Great Barrier Grief is a nice laid-back listen (it’s on Spotify). They also play Friday at Lit Lounge (11 PM). 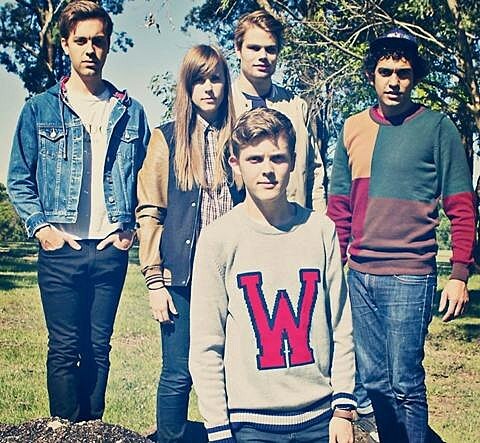 On the synthy tip, there’s Brisbane’s Cub Sport who make “whoa-oh” effervescent style dance pop. Light as a breeze, but undeniably catchy stuff. If you’re free this afternoon, you have two chances to see them on Ludlow St. 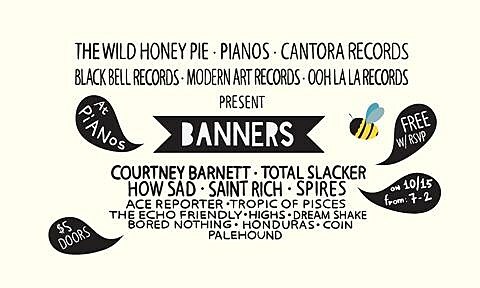 They play Pianos at 2:40 PM, and then they play Cake Shop at 5 PM. They’ll also play KEXP at Judson Memorial Church on Wednesday (10/16, noon), and then Union Pool on Friday (10/18, 7:40 PM). Today’s Cake Shop show is actually an all-Aussie line-up with Geoffrey O’Connor, City Riots, Ball Park Music, and Gossling. It’s free. One note, hirsute novelty rockers The Beards were supposed to be at CMJ (and open the Aussie BBQ at 2 PM) but their visas didn’t come through in time. His live show is intense, catch him if you can.